If you’re preparing yourself for a new floor you’re likely to need to measure the room so yo can get a quote from a retailer. A tape measure is perhaps the most obvious method, but with technology all around us there has to be another method, right? Absolutely. Thanks to the technology built into our smartphones, it’s now possible to use an everyday item such as an iPhone to measure out our rooms and quickly draw up floor plans. In this post, we’ll be detailing a three ways that you can measure a room using an iPhone and a keen eye. 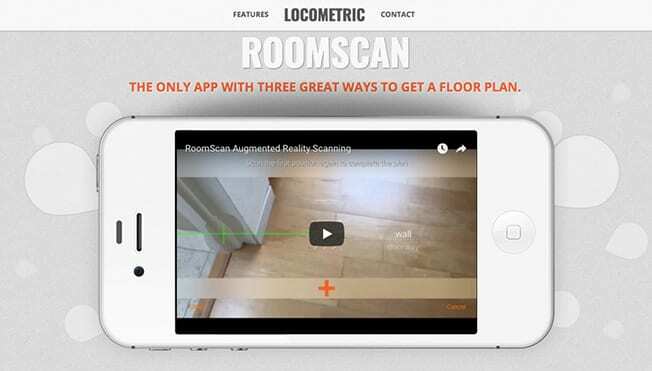 RoomScan is a useful app that will allow you to quickly measure the dimensions of a room with surprising accuracy. All you have to do is tap your phone on every wall in the room and it will generate a floor plan. It’s accurate to within about half a foot, but the accuracy increases if you make sure to read the instructions and follow them properly. RoomScan is great for rough room measurements which are usually adequate for most jobs. There is a paid “pro” version that allows you to specify exact distances which can improve the accuracy of your app. However, this requires the use of a separate laser measure, but the pro version also allows you to place doors and windows. Much like RoomScan, MagicPlan is a useful little app that you can install on your iPhone for free. Upon opening it, you’re greeted with a brief tutorial video that covers the essentials. Unlike RoomScan, which requires you to tap your phone, MagicPlan creates a plan by you standing in the middle of a room and taking pictures of the corners. As you snap the pictures, the app places orange cones in the corner which act as guides for your room plan. Once finished, simply click assemble and you can make floor plans of your entire home without much effort. You can then add additional items onto the plan if desired. After the first few uses, MagicPlan requires you to sign up for an account, but this is painless and fast. With an account, you can export plans and share them over social media. MagicPlan is surprisingly accurate because it makes use of augmented reality to create plans. Speaking of augmented reality, AirMeasure is a tape measuring app that make use of the iPhone’s augmented reality technology. It’s like a traditional tape measure, but it’s great because it’s a fuss-free way to measure a room. It won’t create floor plans for you or come with extra features, but it’s handy if you prefer to do things your own way by using a virtual tape measure to find the dimensions of a room. There’s no need to sign up, the app is small and it’s convenient. There are other apps out there but these are three of our favourites. There are also Android version available. Happy measuring!